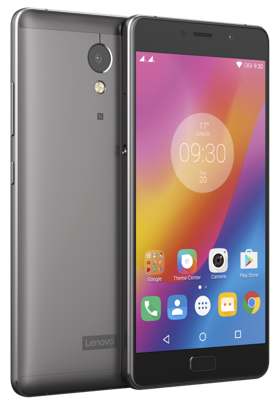 The Lenovo P2 is a metal unibody phone sporting a 5.5″ Full HD Super AMOLED display with 2.5D Gorilla Glass protection. It is powered by a Snapdragon 625 Octa-core processor clocked at 2.0GHz with Adreno 506 GPU and runs on Android 6.0.1, Marshmallow. The P2 comes in 2 variants – 3GB & 4GB RAM, both of which pack 32GB of storage space that is expandable up to 128GB via a microSD card. The highlight of this phone is its 5100mAh battery that can power up the phone for up to 3 days. It supports fast charging and a 24W rapid charger is supplied within the box that can provide 10 hours of battery with just 15 minutes of charging. Lenovo has also included a physical power-saver key on P2, toggling which easily enables the power-saver mode. The P2 features on-screen navigation keys and a fingerprint scanner on the front that can be used to lock individual apps as well. It offers Dual App functionality using which users can run two different accounts of the same app like WhatsApp, Hike, Twitter, etc. Comes with a Hybrid Dual SIM slot (nano + nano SIM or microSD) with VoLTE support and NFC. The rear camera on is a 13MP one with Sony IMX258 sensor, f/2.0 aperture, and dual flash that supports Slow-motion and Time lapse video. On the front is a 5MP camera with f/2.2 aperture for selfies. Lenovo P2 comes in 2 colors: Champagne Gold and Graphite Grey. The 3GB RAM variant with 32GB ROM is priced at Rs. 16,999 while the 4GB RAM variant with 32GB ROM is priced at Rs. 17,999. Exclusively goes on sale at Flipkart from today midnight and comes with couple of launch offers.